Maintains student records and ensures their confidentiality. 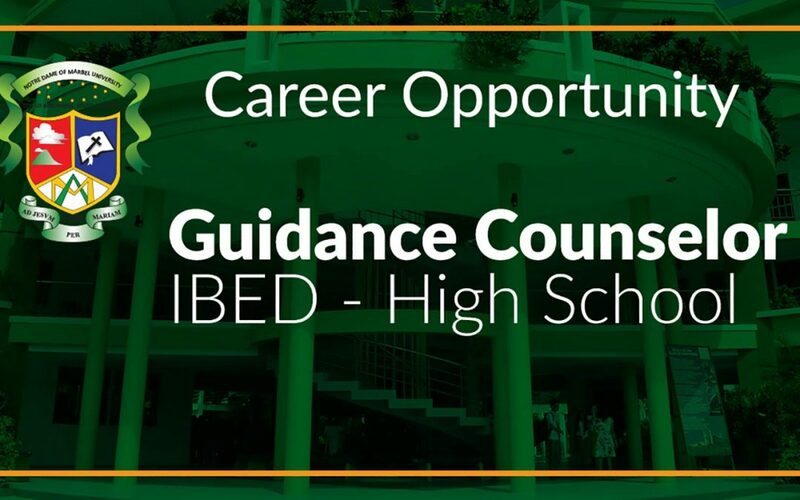 Facilitates the group guidance through the Homeroom Guidance Program. Works closely with teachers, administrators and staff, providing information and assistance where needed for the ultimate benefit of students. Assists in the administration, scoring and interpretation of standardized test. Provides orientation and information relative to guidance program and services. Maintains professional competence and continuous improvement through in-service education and other professional growth activities. Performs other related tasks or duties as directed. Bachelor of Science in Guidance and Counseling or Bachelor of Science in Psychology.